Do you take medication immediately at the very sign of sickness? Why don't you give dark honey a try? Some studies suggest that dark honey is way more effective at relieving symptoms (cough and cold) and can kill drug-resistant germs. Just 2 teaspoons of dark honey a day - eaten right off the spoon or mixed into hot tea - can soothe irritated throat and speed up recovery. Dark varieties like buckwheat and wildflower, particularly the unpasteurized types can slash 3 days off the length of an illness. Honey contains pinocembrin, an antimicrobial compound that kills invaders on contact, while its natural enzymes boost output of infection-fighting antibodies. 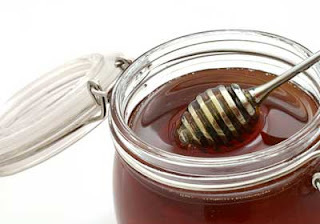 Honey is a natural remedy, so the next time you feel a cold coming on, remember to take 2 teaspoons of the sweet liquid. Yes, we used to take dark honey when I was a kid. At the first sign of trouble my aunt would give me a couple of teaspoons full. And, like you said, we also used it to sweeten our tea. Good stuff.